So what's black and white and red all over? Well, in my house it could be a lot of things, but today, it's my guest bath! Of course, in my little cottage, the term guest bath is misnomer. While it is the room used by guests, it is also our second bathroom and heavily used, on a daily basis, by some very messy teenagers. So while it looks pretty in these photos, that is not real life. In real life, the garbage pail is usually half empty, because the garbage is on the floor next to the pail. There is toothpaste in the sink, retainers and their cases on the vanity, a foot towel on the floor and those just for decoration towels, under the mirror, well, you already know how that story ends. The stubborn decorator in me ignores these facts and constantly tries to fight the tide. I want a pretty bathroom and a little (big) mess does not deter me. I work around it...and do a lot of picking up. Sometimes, a little refresh helps to keep the place cleaner. The kids respond to new stuff, it motivates them to keep it tidy and they do appreciate my hard work. So in an effort to encourage a neater bath and change the boring look of this room. I updated with a new shower curtain. One new item provided a dramatic change and so far, so good! This was the room before my shower curtain change. Pretty, but very bland. It just never sat well with me. I decided the room needed a little punch. Now, usually I add red, but this room certainly has enough of that. Plus it's missing a window, it's very dark, so more red was not the answer here. Shocking, I know. Besides, I've already tried that. I found this curtain at Target and fell in love. I've been looking for something with black that wasn't going to clash with the floor. It was not an easy job, but I think this one works. At first, I was afraid it might be too modern for my decidedly country styled home, but the other very simple accessories in the room keep it anchored and it just adds a bit of elegance to my existing decor, like my super simple wall art. I already owned the flowers, the towels and the soap dispenser, so the total cost of this makeover was under twenty dollars. The curtain was on sale. Love that. I'm very happy with my updated bathroom and as of noon today, it is still clean. No one's up yet, so that's probably why, but I can have hope for tidier days. If not, I always have the pictures. 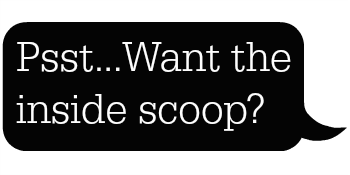 Are you an easy updater? I love the new shower curtain! It really makes the floor pop! Thanks! I was a little worried about that floor, but I think you're right, it works! Well, it goes without saying that this room says fun to me. The new shower curtain is perfect. Love the tile floor and the red walls. How fun, I do love the new curtain, the black and white is perfect. Thanks Marty! All of your bathroom updates have inspired me…and one day I’ll get to adding those zippers to my pillows! Hi Kim, wow that shower curtain sure looks pretty with the red, white and black colors. I understand totally about keeping the bathroom clean! Lol! I love black and white with a splash of red. We have one bathroom and the only way it stays neat is for me to be on top of it constantly. That sounds like me and my whole house, Carol! ;-) And thanks! Oh how I know what you mean... until I bought Annie a vanity, makeup covered the sink and you've seen how small that sink is. There was always some weird grey coating in the sink bowl as well. I still haven't figured out what that was, but ever since the makeup went in to her room, it's disappeared. Thank God! Anyway, I love the new shower curtain! I think it's perfect for your sweet bathroom. Make up and hair do get done in the bedrooms, thank goodness, but somehow it still manages to get messy. My kids are like snails, they just leave a trail wherever they go!! The shower curtain is perfect in the room! I just love red, black and white. I love your floor....wanting that in my bathroom. 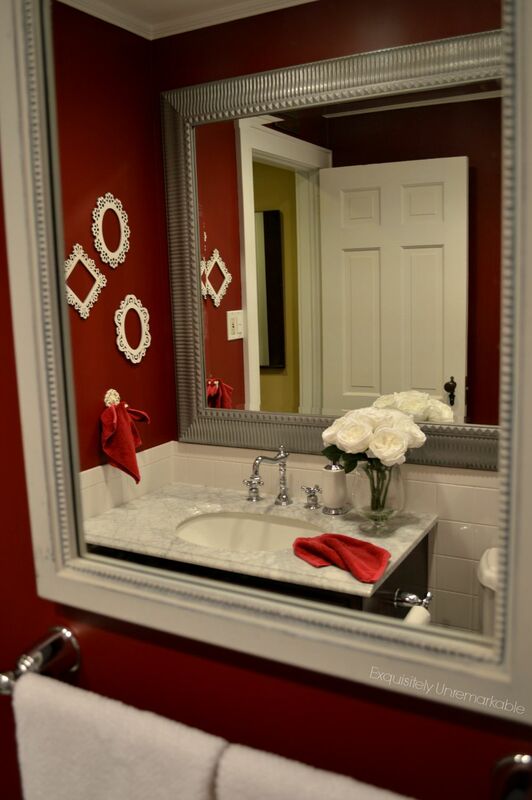 I have a red bathroom also with white and pale beige. I recently changed the shower curtain and a few wall décor pieces and wow! It feels like a new room. I love the power of one, AnnMarie, it can really make a difference. I bet your bathroom is wow! It's gorgeous! It is truly amazing that one new element totally changes how a room looks and feels. Thanks Brenda! I am pretty excited about the change, too. One thing...I love that! Love that beautiful tile floor Kim. The shower curtain compliments the floor so well. Love the touches of red. Well I think that shower curtain is perfect. You know a little modern mixed with country is all the rage now. You made an excellent choice. The sink surface sure is pretty. Is that marble or granite? We have a bathroom that is pretty similar to yours that is dark, dark, dark. I need to start by changing the yellowish faux marble counter. Thanks Stacey! That modern/ country mix is what I was going for, so I am glad you think I achieved it! Yay! The vanity top is marble. We ordered it from Home Depot. It is porous though and the kids are not careful, but I still really like it. It has a neat patina to it! I told Kris that I would like to lighten the room even more by painting the vanity and mirror frame white...maybe someday! It's all gorgeous! Great job! Thanks so much! I like it a lot, too! Very nice . 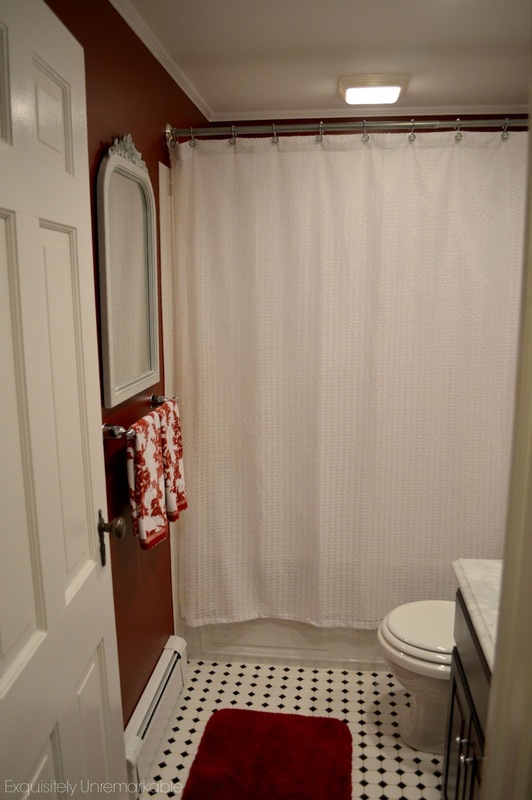 . . love the new shower curtain, red walls, black/white floor, red accents . . . Thanks Lynne! It's a nice change. I love it, Kim, the curtain adds some sophistication yet keep a balance between everyday and WOW!! I like how it ties in with the floor and the red accessories look fantastic, too. Maybe someday you can switch the towels out to hot pink or lime green. Anything goes with your colors. I did a double take when you said your bathroom trash can was usually half empty---I thought, man...mine is always overflowing! Then I read further. The worst thing was when I found my kids throwing banana peels and half eaten fruit on the bathroom trash---yes, fruit flies along with the pretty stuff! Ahhhhh...motherhood. Thanks Jane! I really like this look, too. I’m a change it up girl, so I don’t know how long it will last, but for right now, it’s a hit! AND YES!! Banana peels, chewed gum stuck to the side of the can…you name it, it’s in there. I constantly ask them, who is eating in the bathroom??? Oh boy! ;-) Glad to hear I’m not alone! Love it with the floor Kim! Sometimes the simplest changes are the best. Happy weekend! Hi Kim, thank you for visiting me today from Kris' blog! Your kids' bathroom update is so crisp looking, elegant but young too. And thank you for being real about it! My living room has been red and white for a decade now and I still love it, and when Christmas comes around it is THE room in the house. A red and white living room….oh Dewena, we were destined to be friends!! Thanks so much for the visit, it was lovely to meet you at Kris’! Thank you, Judy! I love those white frames, too. They were less than a dollar each, but they pack a pretty punch! I love the shower curtain, it is perfect. I have a dark blue bathroom. :-) I like to change things up as well. Just to keep things interesting. I just changed up my bathroom with rugs. Rugs are a good change, Carla! I like to do that too...especially in the winter! Thanks Jane! I really like it too...simple and elegant. Thanks for the comment. Love what you did Kim! Yes, I'm like you too, and for sure, very few bloggers post pictures of anything messy in their home, which is usually the case, if you've got young or old kids living with you! Hey, this sounds like my guest bathroom...haha!! Red is such a fiesty color that I have a strong like for. This is definitely what I like. 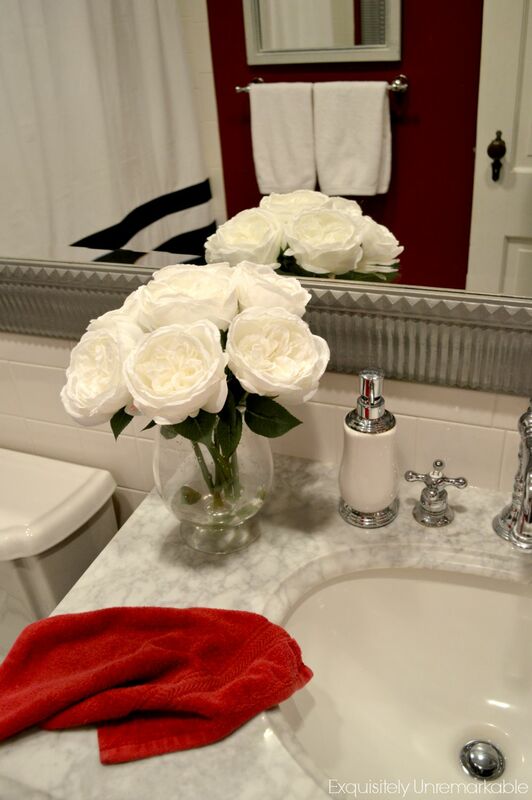 Your bathroom looks fabulous. OH MY GOODNESS did I chuckle when you said that half the garbage is on the FLOOR! HAHAHAHAHH....sorry. Your bathroom is gorgeous! Maybe your girls will want to keep it that way! Fingers crossed. It was a good plan and it worked for the first day or two, but old (messy) habits die hard! ;-) That’s ok, school starts in a month, at least it will be clean from 8-3 in the fall! I do love a bit of refreshment to a room. The shower curtain you added is just right! When I semi-remodeled our hall bath (also a guest bath/teen haven), I bought a new shower curtain that inspired new rugs. It was just enough to add some zing. Made me happy! 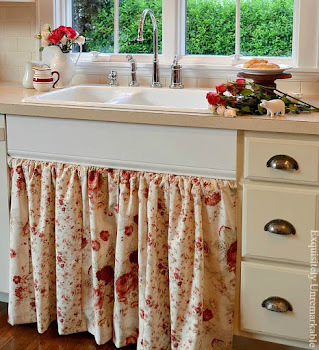 I love quick decorating fixes…they make me happy, too! 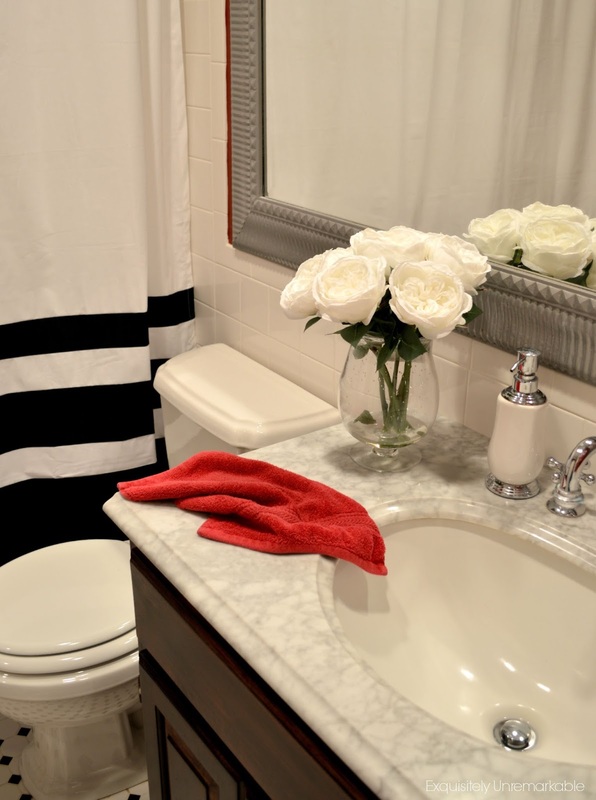 I love the new shower curtain and the red looks so nice with the black and white! 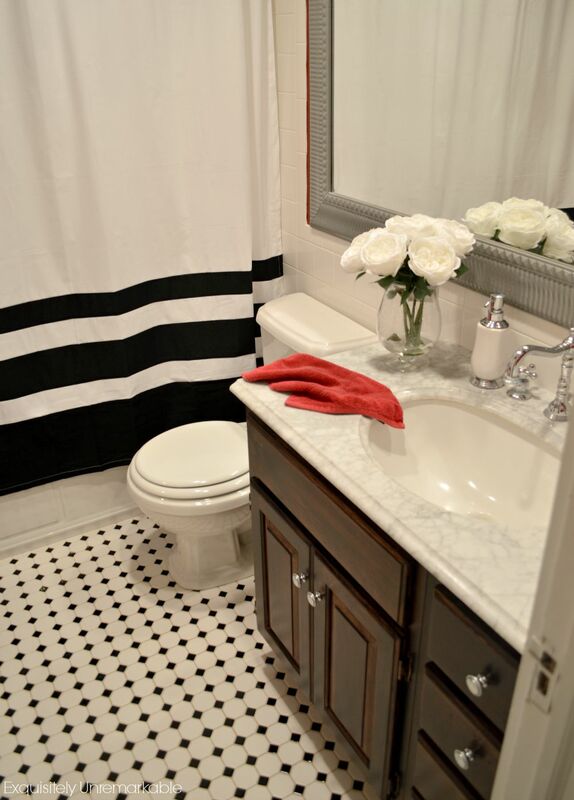 We have the same black and white tile in our upstairs bathroom and I struggled with the accent color, the red looks amazing with the black and white! Thanks Kimberley! I bet your bathroom is just lovely. Black and white is a classic combo. Thanks Deb. I was a little unsure, but I like it, too! Kim ... that looks good to me. Works so well. I think the curtain is perfect Kim. Love how it looks with the floor! Thanks for sharing with SYC. Thank you so much! I was a little unsure, but now I love it!